The new calendar year is a great time to take stock of your finances. 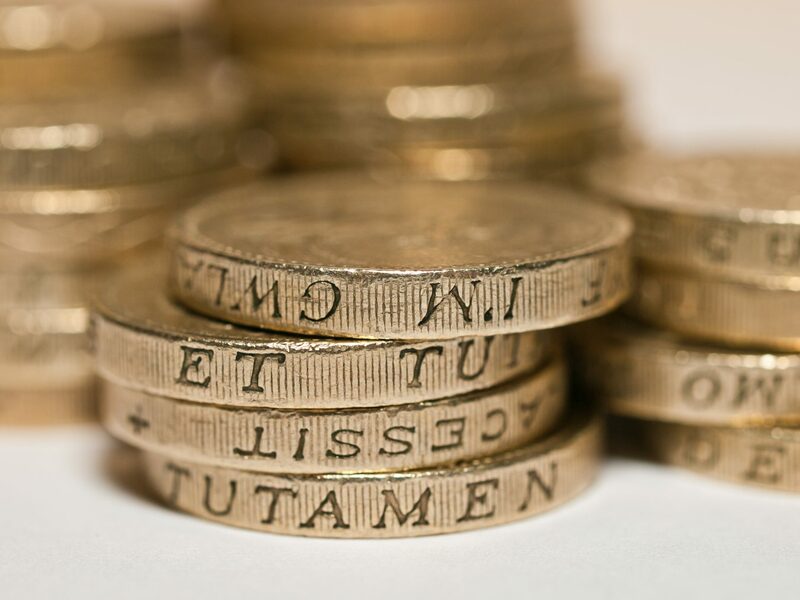 Reviewing your finances in January and February provides sufficient time before the end of the tax year, at the beginning of April, in order to make sure that you are fully utilising all of the tax reliefs which are available to you. Reviewing your finances throughout the year provides sufficient time before the end of the tax year, at the beginning of April, in order to make sure that you are fully utilising all of the tax reliefs which are available to you. Incorporating a Limited Company and operating the new legal entity can bring with it many advantages, however, there are compliance obligations that you must be aware of to ensure you that your business is organised and stays on the right side of HMRC and Companies House. New companies who are not compliant run a risk of being fined by HMRC and being struck off or dissolved by Companies House. Being unaware or disorganised could also mean that your business operations are at risk of falling into disarray while you are playing catch up thus hindering your progress and likelihood of success. The tax advantages of Limited Companies are often regarded as the most attractive benefit. Limited Companies pay Corporation Tax presently at a flat rate of 19%. This is in comparison to taxes for a sole trader which are presently 20% for PAYE at the basic level with incremental rises to 40% then 50% of all income. Sole traders must also account for class 4 National Insurance of 9%. Following the tax treatment of a Limited Company, directors and shareholders will need to extract from the company. As individuals they are treated similarly to sole traders, however, the flexibility of profit extraction from a Ltd Company is better. Sole traders are taxed based on the profit made in their financial year. If they turnover £100k and have £20k of costs they will pay tax rates of 20%, 40% and national insurance on the £80k profit. If a Ltd Company has the same year it would pay 19% tax on the entire profit. However, a Ltd Company can further reduce the level of profit subject to tax by paying directors and shareholders a salary up to the tax-free allowance. As this is counted as a cost the profit can be reduced by up to £11,500 for each director or shareholder registered as an employee of the company therefore eligible to receive a salary. As an example, if a Ltd Company has a turnover of £100k and one director/shareholder and it incurs costs of £20k (including other employee’s salaries) and furthers the salary of the director/shareholder of up to £11,500 it would be subject to tax at 19% on £68,500. Furthermore, the after-tax remainder can be left in the company until directors and shareholders wish to extract it as dividends, however, they need not take the entire amount therefore only paying tax on the amount they wish to receive unlike a Sole Trader who needs to pay tax on the entire amount left whether they wish to use it or not. Dividends carry a tax-free allowance of £2k and have a much lower rate of income tax for amount after £2k. All businesses have administrative responsibilities in terms of accounting for and declaring the amount of money they brought in, spent and owe tax upon. Failure to file this information with the relevant bodies will result in fines and could see directors struck off and the company dissolved. Statutory Accounts: Accurate accounts must be submitted to Companies House each year. You have 9 months after the company’s financial year to file these accounts before you are subject to penalties. For smaller companies (under the Audit Threshold) you may submit abbreviated accounts; these will be unpublished. Tax Returns: A Corporation Tax return and iXBRL accounts must be submitted to HMRC annually. You must return these within 12 months of the company’s financial year ending. Confirmation Statement: Also known as an annual return you must submit an annual confirmation statement to Companies House on each anniversary of incorporation. All directors and shareholders must file self-assessment tax returns to declare income extracted as dividends. As an individual you need only file one self-assessment no matter how many companies you are extracting cash from; all income is announced on one document. You will also be responsible for PAYE taxes and payroll administration for any employees and should consider P11D’s for taxable benefits. To ensure your company is accounted for and that you are extracting cash in the most tax efficient way you may want to ask for assistance. Cottons are chartered small business accountants we offer affordable packages for Limited Companies from start-up to audit level so wherever you are we can assist you. Our experienced team of accountants and bookkeepers offer a full range of services from Limited Companies from corporation tax returns and VAT services to payroll and bookkeeping. If you would like our assistance keeping your Limited Company compliant then talk to us today. Once you have decided a Limited Company is the way forward for your business you need to incorporate the new entity at Companies House. Your business will need a name. Ideally this will be the same as that you trade under but does not have to be. Be careful not to trade under a protected name as this can cause issues. Choosing the company structure is important, especially for those with multiple owners. The allocation of shares to a shareholder needs to reflect their value to the company. The person with the ownership over 50% effectively controls the company. Setting the nominal value of a share is important. Most new limited companies will keep this simple at set the book value of 1 shares as £1 but it is possible to have a share worth £0.0001. Companies mistakenly set up shares with very high nominal value thinking this is the value of the company but this can have ramifications, for example, if a company is unable to pay its debts the owners of the business are legally required to pay for any unpaid shares immediately. Once the company is incorporated you will receive a unique tax reference within a few weeks to the registered office you select. It is important to keep this number as this is required to submit the company tax return. Ensure you have read up on Limited Company obligations. You need a separate bank account for your Ltd Company from which to make and receive payments. Once you have your company incorporation documents you will be able to have a limited company bank account put in place which will be an asset of your new company. Approaching the branch you bank with personally can help you keep everything in one place but you should shop around for the best rates. Santander offers excellent business banking rates and Barclays offer brilliant support for small businesses. As a shareholder of the company if you have not been in self-assessment, this the processing of announcing and calculating tax on income which has not been taxed at source, aka PAYE. By registering for self-assessment you will receive a personal unique tax reference number. You have the responsibility to report to HMRC the income you extract from your Limited Company via salary and dividends. Once the company is formed, the bank is in place you are ready to start invoicing clients, remember you will need to quote the limited company registered number and registered office within the invoices. Using accounting software such as XERO means that you can keep your invoicing, income and expenditure in one place. This means that you know how your company is performing, what’s outstanding and how much your spending whenever you need to know. Being organised in terms of admin is the key to success. If you have managed to make your way through company formation and initial administration you may want to hire an accountant to manage your ongoing tax and accounting obligations. Each year your profit will be subject to tax treatment. An accountant will ensure you are paying the correct rate of tax on the correct amount of profit whilst managing your costs as well as keeping you organised and supporting you as you grow. We are small business accountants. If you would like to talk to us at Cottons Chartered Accountants about working with you then call us today, we have offices in Northampton, Rugby, Daventry and in London too. We offer a full range of affordable tax and accounting services for businesses of all sizes. It is our business to ensure that your business continues to function once it’s up and running.